Aubrey is all on her own, living on TV, crackers and cheese, with only a pet goldfish for company. And when Gram turns up on the doorstep, worried that nobody’s answering the phone, she realises that something terrible has happened: Aubrey has been abandoned by her mother. But where are Aubrey’s father and sister? Another tragedy has befallen them – something Aubrey can’t even bring herself to think about. Taken to Vermont to live with Gram, Aubrey starts a new life. With the love of her grandmother and the letters she writes, can Aubrey begin to see that even though she’s lost everything, all is not lost? Shortlisted for the Red House Book Award, this tear-jerking story of tragedy and new beginnings is one of the year’s must-reads. This book so far sounds great and makes me wanna read it! Goosebumps #8: HorrorLand: Say Cheese - And Die Screaming! this is one of the best book I have ever read!!!!!! I totally recommend it people who want a good book to read that will be one of the best books ever read. Thank you, Suzanne LaFler for such a wonderful book. I absolutely LOVE LOVE LOVE LOVE this book. It is my most favourite book in the whole wide world!!! It is really heart felt and emotional and it relates to everyday life and the problems people face! Most definitely a book to read it is 5 Stars and I would read it again and again!!! This A really heartfelt emotioanal book, I dont really like sad books that make you cry, but this one, I truly loved. Its a really good book and I thouroghly enjoyed reading it, I couldnt stop for days! Aubrey makes us grateful for what we have. 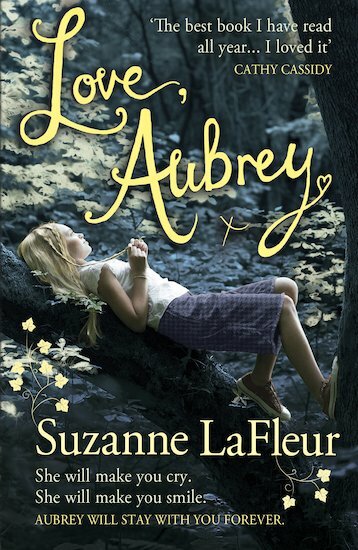 Suzanne La Fleur creates an emotional atmosphere and gives us the courage we need. It has a brilliant storyline and the character fits beautifully into it. It’s a very emotional book if i had to rate it one to ten it would be ten loved it a must read! This is a brilliant book! I love Aubrey’s character and personality. Her situation is so sad that it brings tears to my eyes when I read it, and I don’t usually get emotional!